The USB Flash Drive is a widely popular data storage device as it allows you to carry your digital files in a small form factor. Throughout the years, the memory space used in USB flash drives has gotten bigger, allowing users to store more and more files into their device. Despite this, there may be some times when you run out of space and need to delete some files. The problem occurs when you accidentally delete certain important files, as deleted files from your flash drive do not necessarily end up in your recycle bin. Once you delete files from your flash drive, there is really no way of getting it back unless you use a USB data recovery tool like Disk Drill. What the software does is that it uses data recovery algorithm to help recover your erased data. The software maximizes the chances of any data recovery and protection. Once you have downloaded and installed the free flash drive recovery software from their official website, you will have a number of USB Data Recovery Algorithm options to choose from. This will include run all recovery methods, undelete protected data, quick scan, deep scan, universal partition search, and load last scanning session. Since most files are not placed as a single chunk in any digital storage device, Disk Drill will apply its knowledge to put together the missing pieces. The truth is that anyone can find themselves in a situation of lost data. It is particularly an unfortunate situation if you are using a flash drive, as the possibility of recovering deleted data from the Recycle Bin is nil. In fact, whether the situation occurred from accidental deletion, power failure, or partition damage, recovering lost data is quite impossible without tools like Disk Drill. If you lose data, it is important to act fast. 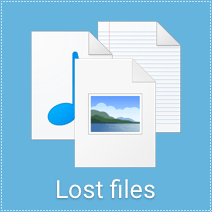 The sooner you run Disk Drill after losing a file, the better it will be for you to retrieve the lost item. Usually, when a file is deleted, it is the name that just gets removed whereas the actual data is still there. Retrieving the data before it is overwritten is the best course of action as this ensures successful data recovery. Fortunately, Disk Drill is very easy to use and is very user friendly, so you would not have trouble finding your way around the software to recover your lost file. If you’re using the free version right now and have a lot of files to recover, the best approach you can do here is to take your time to review the files available for recovery because you are only given 100MB or less to do it for free. With the nifty Disk Drill, recovering your erased documents, photos, or music files from your flash drive has never been easier! The free version allows you to recover 100MB of files or less. This is usually enough to cover those important documents you have erased. This means that most data loss situations are covered within their free data recovery software. The best part is that the software not only works on USB storage devices, but it also does its magic on any hard drive as well. Previous post: Want To Reach Out to More and More People to Present Your Services?